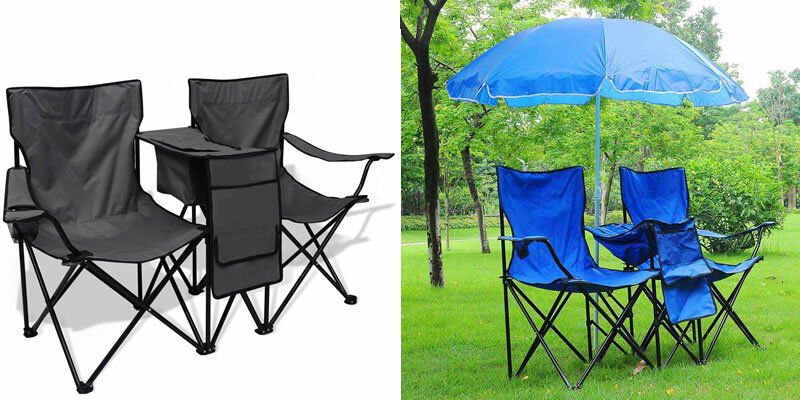 A double seater camping chair strengthens that special companionship with someone else, sitting side-by-side during a serene camping trip, and eliminating the need to carry two separate camping chairs. 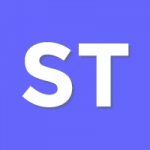 So when you’re chilling out, make sure that you’re doing so in a durable and comfortable seat – the last thing you want is for you and your fellow camper to be on the floor cleaning dirt and grass from your behinds, all because of a broken chair. Doesn’t sound fun does it? Nope, which is why we’re presenting you with our top 5 best double seater camping chairs. If you hold storage and convenience in high regard, then you’ll fancy this generic double seating camping chair. 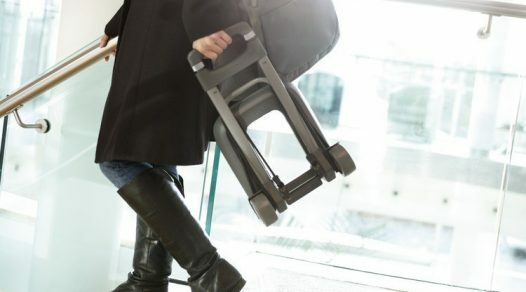 Keep your beverage near at all times in the armrest’s mesh cup holder, while having your accessories and snacks even closer on the integrated fabric table between the two chairs or inside the handy pouches! There are three different colours (grey, green and blue) to choose from, all of which are constructed with a waterproof, weather-resistant polyester fabric that’s easy to clean as it is to fold away and store in its included carry bag. With a width of 150cm, Eurohike’s Peak Folding Twin Chair is the widest double seater camping chair on our list, so even with two people seated in it, there is still plenty of space to stretch out. Both armrests have the advantage of having their very own integrated netted cup holders, so you don’t have to faff about with finding a surface to balance your beverage on. Ideal for larger individuals that go to festivals and camping, it’s still reasonably portable and easy to collapse despite its large frame. 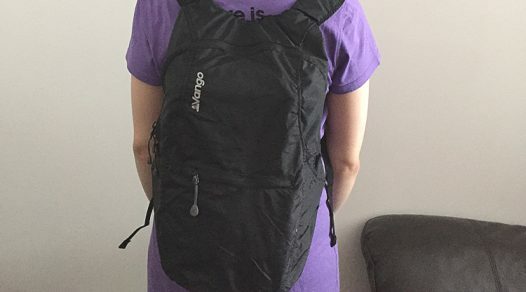 It is completed with the supplied carry bag. Whilst it comes in a variety of colours featured in a unique pattern, its appealing looks is not the best thing about the Kampa Lofa. In fact, it’s highly supportive with a strong, steel frame and slightly thicker fabric than seen on most cheap camping chairs. At a seated height of 35cm, it’s a comfortable mid-level double seater camping chair, which makes it primed for hours of lounging, made better by both armrests having their own beverage holder. At 5.4kg, the Kampa Lofa Two Seater Camping Chair is lightweight and compact in folded size and is supplied in a sturdy carry bag – save yourself the hassle of lugging it around and instead, simply swing it around your shoulder and go. To share the space with another or to curl up as one? The choice is yours on the Vegas Double Camping Chair by High Gear. 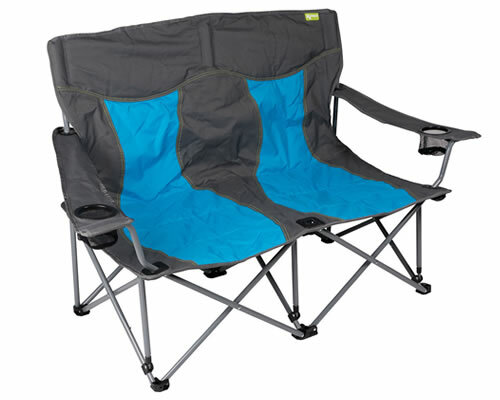 When comfort is valued above all else, this camping chair is the answer as its bucket style design, sponge padded and tough polyester fabric creates the perfect place to snuggle up on a cool night. 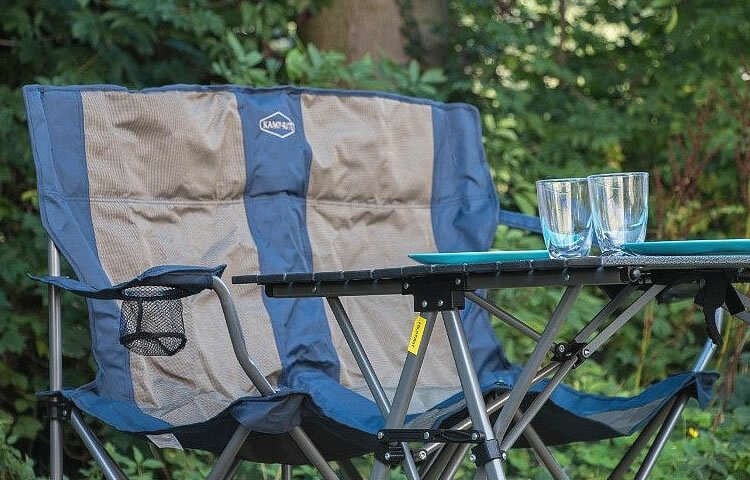 A strong and durable steel tube frame ensures the chair will remain functional during all your camping trips, and the pouches hung on the sides holds small items or drinks, meaning you don’t have to search for a separate table to balance them on. Unrivalled in comfort, the Outwell Sardis Lake Camping Sofa is made with plush cushioning and gently curved armrests that you’ll always retreat to when you want that home feeling while being away from home! 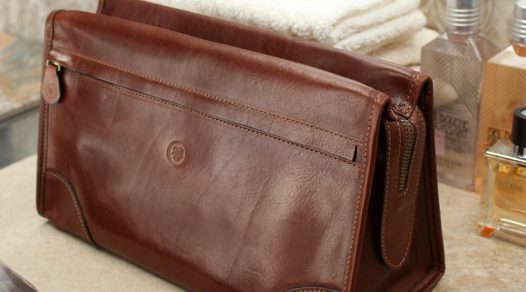 A pouch that contains three compartments hangs down the right side of the armrest, allowing you to keep some of your most important camping luxuries within reach. Adapted specifically for maximised support, its powder coated, sturdy steel frame will provide support and security for two people, so you won’t have to worry about it collapsing suddenly.